Hundreds of runners laced up their shoes early Saturday morning and pounded the pavement in and around Abilene. They enjoyed a mild, albeit windy day as the Dickinson County community came together to host the 15th running of the Eisenhower Marathon. The event included a men’s and women’s marathon, half marathon, 10K, and 5K races. There was also a family fun walk. One familiar face brought home the gold in the marathon, while a newbie also was golden. Daniel Craig from Gypsum won an unprecedented 7th men’s title. Craig took an early lead, and never looked back as he ran away for a comfortable margin of victory. He told KSAL News that it’s tough to run alone, especially on a windy day. But he credited a group of runners from Kansas Wesleyan University who were all running the half-marathon with helping him. The women’s winner was Corrin Tanking from Holton. Like Craig, Tanking jumped out to an early lead and cruised to a victory. Tanking, who amazingly just seven months ago gave birth to her second child, was pleased with the win but disappointed with her time. She told KSAL News she has very lofty goals. Show would like to qualify for the Olympic Trials. Her dream is then to make the United States Olympic Team. Trail Spears of Salina won the men’s half-marathon. He was among a group of Kansas Wesleyan University athletes running, and his winning time qualified him for the NAIA Nationals. Kylie Cheetsos from Grand Island, Nebraska, won the women’s half-marathon. The avid Nebraska runner told KSAL News that she was thrilled to win her event. 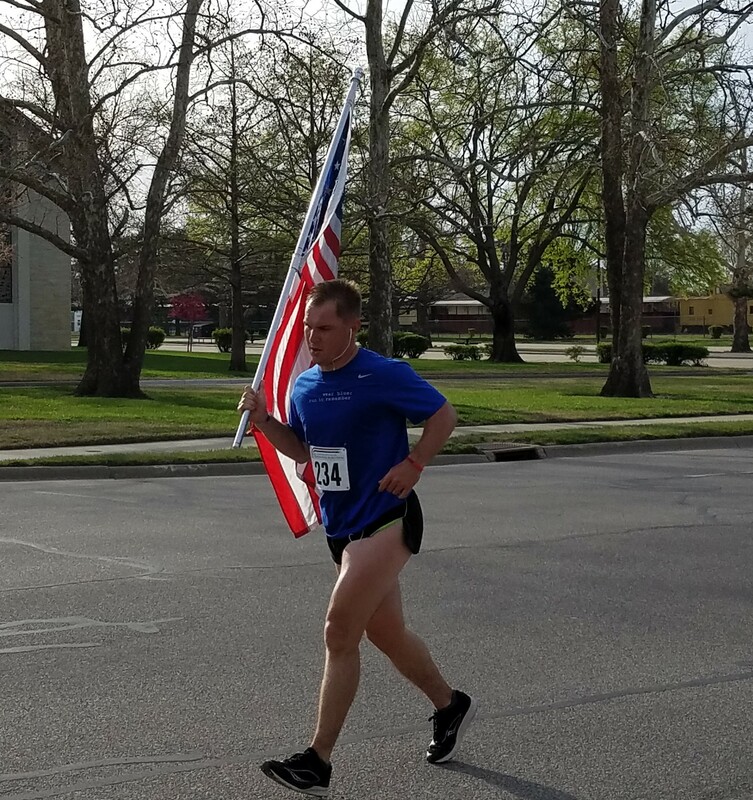 Another unique runner was Adam Stroik, a soldier from Fort Riley, who for the second year in a row carried an American flag with him as he ran the 26.2 mile marathon to honor veterans and wounded warriors. Organizer June DeWeese told KSAL News that over 500 runners participated. She credits a dedicated group of volunteers to making the event, which is a qualifying race for the Boston Marathon, a success.